At SWS UK, we are a highly experienced manufacturer of garage doors, security shutters and industrial doors. As such, we offer our products through a network of specially trained distributors that we have selected to work with and provided with the necessary knowledge to install the SWS range of products. Based nationwide, we are more than happy to put you in touch with your local approved SWS UK distributor. Our distributors often have showrooms where you can visit them to experience our products first-hand. Simply click one of the options below and fill in the form that appears to get in touch. As a highly experienced manufacturer of garage doors, security shutters and industrial doors we offer our products through a network of well trained and selected distributors. We are more than happy to put you in touch with one of them. Our distributors often have well equipped showrooms where you can experience our products. Would you like us to put pass your enquiry through to your approved distributor? If your SWS UK product requires a service, repair or additional/replacement components you will need to contact your distributor (the company who supplied your product). If you are unsure who your supplier is, please complete the form below and we will put you in touch with a distributor in your area. Is that ok? As the manufacturer we do not offer installations directly. We operate through our distributors who are trained to respond to all queries relating to our products. 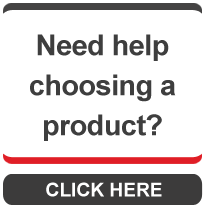 To proceed with your enquiry you will need to agree (yes) to us sending your query through to an SWS approved distributor who has been carefully selected and has specialist knowledge of our products. To proceed, please tick (yes) to confirm that this is ok. If you have a general enquiry, please confirm your preferred contact type below and provide us with the information we require. One of our members of staff will then be in contact with you shortly. As the manufacturer we operate through our distributors who are trained to respond to all queries relating to our products. If your SWS UK product requires a service, repair or additional/replacement components you will need to contact your distributor (the company who supplied your product). If you are unsure who installed your product, please complete the form below. To proceed with your enquiry you will need to agree (yes) to us sending your query through to an SWS approved distributor.